Ari­esCode is based in Ham­burg (Ger­many) and was found­ed in 2004 by com­put­er pro­gram­mer Chris­t­ian Schüler. More infor­ma­tion about me can be found on my per­son­al blog, over at The Tenth Plan­et. 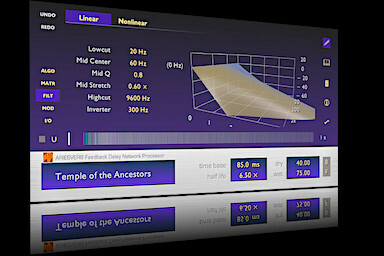 AriesVerb start­ed out as exper­i­ments on algo­rithms for envi­ron­men­tal reverb for game audio. There is an arti­cle in the 5th vol­ume of Game Pro­gram­ming Gems series describ­ing the algo­rithm in detail.